Lee F. Mindel’s The Architect’s Eye is an exploration of iconic structures around the world, from ancient gardens to modern homes. Dungeness has a concentrated group of middle-class dwellings that face the sea. The shore is lined with colorful beach cabanas. Just a short walk from here are more single-family homes, the lighthouse, a playground, and the nuclear power stations, creating a sublime mash-up of styles and functions. Architect John Wood the Younger designed the Royal Crescent, which was built between 1767 and 1774; it was a very modern way of creating harmony with the design of a consistent sweeping façade that then let individuals create their own designs with the architect of their choice. In 1937 the city of Aarhus, Denmark, declared a proposal by Arne Jacobsen and Erik Møller the winner of a competition to design its new city hall. Comprising three massing blocks and a clock tower, the structure is an exquisite example of regional modernism and a testament to two men’s passion for detail. Lake Como, the 56-square-mile, Y-shaped jewel in the Lombardy region of northern Italy, has been a summer destination since ancient Roman times, luring nobles, church leaders, politicians, and, lately, celebrities of every stripe. The Dan Flavin Art Institute is housed in a former fire station in Bridgehampton, New York, a few miles from where the artist once owned a home. Run by the Dia Art Foundation, the space hosts rotating exhibitions—past examples include shows of work by John Chamberlain and Carl Andre. On the second floor there is a permanent installation of neon pieces by Flavin, installed by the artist himself. Albert Frey is often described as one of the founding architects of Palm Springs, California, and indeed it would be hard to imagine the desert city without the numerous masterpieces he designed there over his long, productive career. Of all the styles of architecture that have emerged since the beginning of the 20th century, Brutalism may be one of the most divisive. This stark, concrete-centric offshoot of earlier forms of modernism became popular in England and the rest of Europe after World War II in part because it provided a sense of security in areas that had been devastated during bombings. Château de Malmaison, located a few miles west of Paris, was once home to Josephine and Napoléon Bonaparte, and, briefly, the seat of the French government. Josephine purchased the venerable property in 1799 while her husband was off fighting in Egypt. Overlooking the Pacific Ocean, Louis Kahn's 1965 masterwork integrates architecture, landscape, and science. When I was a student, I was lucky enough to study abroad, and while I loved the experience, I could have never imagined back then how it would influence the rest of my life. Today, travel has become a vital part of my creative process—not to mention my understanding of other cultures and traditions. Seeing and photographing things firsthand and learning the history of places from the people who live there stimulates a deep curiosity—about art, music, theater, dance, and, of course, architecture. Christ Church College in Oxford, England, was founded in 1546. Its campus has served as architectural inspiration for academic institutions around the world as well for sets for numerous films, including some of the Harry Potter series. Finnish architect Alvar Aalto scrapped his original design for the Vyborg Library when the site changed. The result, completed in 1935, is a bold masterpiece of international modernism. Situated close to the Hudson River and adjacent to High Line, New York City’s famous elevated railroad track turned park, the Whitney incorporates the vocabulary of ships and trains. Founded in 1703 by royal decree on river-crossed marshland that had recently been taken from the Swedes, St. Petersburg was a planned city from the start. Peter the Great intended it as Russia’s new European-facing capital: an all-season port that would be the envy of the modern world. Though small in size compared to other landmarks, the Laurentian Library in Florence represents a singular achievement by the artist and architect and a pivotal moment in building aesthetics. Constructed in the 1500s, the library comprises a reading room and vestibule built atop an existing structure at the church of San Lorenzo. There’s nothing subtle about Brighton, but it offers a delightful cross section of architectural styles whose popularity has waxed and waned over two centuries. A four-year renovation has restored Frank Lloyd Wright’s Hollyhock House to its original splendor. As the world turns its attention to Switzerland this week for Art Basel and Design Miami/Basel, I like to remind people that one of the great treats of the annual fairs is, in fact, Zurich. Located just an hour from Basel by train, this magical city is full of wonderful design and can serve as an inspiring home base for the shows or an exciting side trip. While developing the design for the Jewish Museum Berlin, architect Daniel Libeskind plotted the addresses of prominent Jewish and German citizens on a map of prewar Berlin and joined the points to form an “irrational and invisible matrix,” on which he based the geometry and shape of the building. The museum’s collection includes work by Louise Bourgeois, John Chamberlain, Dan Flavin, Michael Heizer, Donald Judd, Richard Serra, and many others set masterfully against the backdrop of the building and in intelligent relation to one another. The world has many great gardens, amusement parks, and theaters, but rarely are they located together in one enchanting place, and nowhere are they combined with such fine attention to history and design as at Copenhagen’s Tivoli Gardens. Otto Wagner’s Church of St. Leopold in Vienna is located at the center of a large medical complex, which Wagner designed at the turn of the 20th century. The church reflects historic changes in artistic, social, and scientific attitudes at the time. Lee F. Mindel visits the Gropius House and the Codman Residence—two iconic homes in Lincoln, Massachusetts. Musée Rodin is hardly the most sophisticated example of landscape design; it’s a simple axial layout with a water feature at the center. Nevertheless, the integration of main structure, outdoor architecture, sculpture, and plants could not be better—or better reflect the museum’s namesake. Alvar Aalto, famed architect designed several important public buildings here, including the Aalto Alvari Aquatic Center, which I visited on a recent trip to Scandinavia. On a recent visit to the Post Ranch Inn—a sublime resort perched 1,200 feet above the Pacific Ocean in Big Sur, California—I was lucky enough to experience sunshine, fog, and a much-needed rainstorm, all in a short period of time. Anywhere else, the latter two weather reports might have dampened the experience, but there, the unique topography and design morphed beautifully in the changing conditions. On a recent trip to San Francisco, I visited Alcatraz Island, which was once home to an infamous federal prison and is currently the site of a series of installations by Beijing-based artist Ai Weiwei. Ai, who has been forbidden to leave China since 2011, worked remotely with Cheryl Haines, executive director of San Francisco’s For-Site Foundation, an organization that specializes in promoting site-specific art. A few months ago, Margaret Russell and I toured the Washington Monument, and the Jefferson, Lincoln, and Franklin Delano Roosevelt memorials. These are some of the most visited and photographed sites in Washington, D.C., but despite their familiarity, we found that each offered a surprising and unique architectural experience. And together, the buildings gave a thrilling glimpse of our nation’s history and ever-evolving sense of self. The Maritime Museum of Denmark, recently completed by BIG (Bjarke Ingels Group) architects, is an important new structure that sits adjacent to—but mostly out of view of—Kronborg Castle at Helsingør, a 16th-century fortress in northeastern Denmark that served for centuries as tollbooth for a narrow stretch of sea separating Denmark from what is now Sweden. Jeremiah and I worked together many times since that call and have become close friends in the process. Seen from afar, his romantic compositions offer a cohesive whole, yet the secret to his genius is particularly visible when viewed up close. The influence of the École des Beaux-Arts extends across the globe. Here in the U.S., its graduates created many of our architectural icons, including the Boston Public Library, the Boston Museum of Fine Arts, New York’s Grand Central Station, and the Metropolitan Museum of Art, to name a few. Mystery lives behind hedges. Especially in Palm Beach, Florida, where great walls of greenery veil, enhance, and protect some of the world’s most extravagant homes. But like all works of serious design, hedges also contribute to their surrounding environment, which is particularly true in this South Florida enclave, where immaculately tended box, cypress, and myriad other plants set unique scenes on individual streets and contribute a distinct feel to the town as a whole. At the start of a new year, Lee F. Mindel returns to the birthplace of American minimalism—Massachusetts’s Hancock Shaker Village. At the entry to Skogskyrkogården, the nondenominational cross (based on Cross on the Baltic Sea, 1815, by Caspar David Friedrich) creates a welcoming gateway to the grounds, just as it did for those arriving in the region a century ago. Members of all faiths were welcomed here—a revolutionary idea at the time—in the eternal hope that everyone can live in peace. The all-white structure north of Copenhagen makes remarkable use of Scandinavia’s flood of sun during summer months and the seeming perpetual dusk that settles in this time of year. Natural light permeates the building through clerestory windows, glass-lined courtyards, and ubiquitous skylights, and its presence is such that the architectural experience depends on the time of day and year one visits. A visit to the White House is always an exciting experience, but it’s especially wonderful this time of year when the country’s most famous residence is decked for holidays. Earlier this month I joined Margaret Russell at the John F. Kennedy Center for the Performing Arts for the Kennedy Center Honors, an annual national celebration of the arts, which was preceded by a reception at the White House. As Miami Beach welcomes art and design buffs in town for Art Basel this week—and prepares for its centennial celebrations next year—I thought it would be interesting to revisit some of the noteworthy buildings and landmarks that make this such a unique destination. And who better to tour the city with than artist Michele Oka Doner and Wolfsonian Museum founder Micky Wolfson. Doner and Wolfson—their fathers were each mayors of Miami Beach —coauthored a magical book about the city, Miami Beach: Blueprint of an Eden and joined me recently for some architectural sightseeing. I visited Kahn’s Kimbell Art Museum in Fort Worth, Texas, where one year ago the new Renzo Piano Pavilion was unveiled. Rather than adding onto an iconic structure, Piano designed a separate building, creating a fascinating dialogue between past and present. The Glass House, the transparent home Philip Johnson famously built for himself in 1949, has become such an icon of midcentury design that it can sometimes eclipse the architect’s manifold other accomplishments. I was reminded of this at a recent celebration of the 65th anniversary of the New Canaan, Connecticut, property hosted by the Glass House director Henry Urbach. Luxembourg Garden has a mix of features, including French- and English-style layouts, fountains, and over 100 statues. It has appeared in plays, paintings, and novels, including Victor Hugo’s Les Misérables, John Singer Sargent’s In the Luxembourg Gardens, and William Faulkner’s Sanctuary. Although it is famous for its spring flowers and a pond where children sail model wood boats in the summer, I have come to appreciate how beautiful—and dramatically different—the park is throughout the year. On a recent trip to London, I visited the Royal Institute of British Architects on London’s Portland Place. It is home to one of the world’s most impressive architectural collections, comprising more than four million items, including drawings, models, photographs, books, periodicals, and much more. One of the most striking things about 16-time Grammy winner Sting’s dazzling new musical, The Last Ship, is the role that the set and lighting effects play in telling the story about the end of the shipbuilding era in Wallsend, England, a working-class community near Newcastle-upon-Tyne (Sting’s hometown). I recently toured the island with Leslie Koch, president of the Trust for Governors Island, which runs the island for the city, and West 8 cofounder Adriaan Geuze, who guided me through an architectural environment that’s in the midst of a remarkable transformation. Explore the Smithsonian’s Hirshhorn Museum and Sculpture Garden in D.C. The Smithsonian’s Hirshhorn Museum and Sculpture Garden, which turns 40 this week, holds a special place for me. It was designed by the late Gordon Bunshaft of Skidmore, Owings & Merrill, where I had my first job and where I spent many formative hours studying the work of this master architect. In 1866 Robert Morris Copeland was commissioned to design one of America’s first planned residential communities, the town of Cottage City on Martha’s Vineyard. Renamed Oak Bluffs in 1907, the village was a popular Methodist retreat in the 1800s, playing host to open-air prayer meetings held in a central campground. I have long been fascinated by the variety of architectural styles and movements that make up Princeton University’s 268-year-old campus. It is one of America’s oldest and most storied educational institutions, yet it has a surprisingly eclectic collection of nontraditional contemporary buildings. East Hampton’s Most Holy Trinity Parish Catholic church began in a late-17th-century two-story wagon shop on Buell Lane. Now it boasts a new building that embraces its lush grounds, framing views with such features as a large fanlight in its porte cochere and an open sunburst within the gabled street façade. The magnificent Stockholm City Library's brick structure was the first library in the Nordic country to use the new open-shelf system, in which visitors could access books without having to ask a librarian for assistance. Fittingly, the structure was a new type of civic building for the city, a utilitarian and inviting paean to the idea that information should be shared by all. Danish-Icelandic artist Olafur Eliasson’s Your Rainbow Panorama is a 500-foot-long, ten-foot-wide circular walkway that rests, halolike, on top of Denmark’s ARoS Aarhus Art Museum. Its geometric shape complements the interior of the ten-story building, designed by Schmidt Hammer Lassen, and its rainbow-hued glass walls add a remarkable splash of color to the city of Aarhus’ skyline. Like so many great gardens, Dumbarton was a work in progress throughout the Blisses’ ownership and continues to evolve nearly a century later. For an installation called Cloud Terrace, for example, the design firm Cao Perrot Studio has created a mesh cloud of over 10,000 Swarovski crystals set above a reflecting pool. Farrand would have been impressed. Shaker Village reached its peak of 300 residents in the 1840s, but by the turn of the century, its population had declined (as was the case at many other Shaker outposts) to around 50. In 1960 it was transformed into a museum. In his early career, the artist Sol LeWitt’s (1928–2007) body of work comprised drawings confined to framed canvases, but in 1968 the wall became his canvas. He pursued compositions, which were architectural in nature and executed by painters, draftsmen, and technicians. The Vitra Campus is a treasure trove of buildings and grounds designed by leading architects. It was created after a 1981 fire destroyed the furniture manufacturer’s original facilities. Vitra’s visionary chairman, Rolf Fehlbaum, commissioned a Who’s Who of talent, including several Pritzker Prize and Royal Institute of British Architects Award winners, to conceive new manufacturing spaces, ceremonial halls, retail and trade showrooms, storage facilities, a museum, and more. Peder Vilhelm Jensen-Klint was commissioned to design and build a church to be named in honor of Danish pastor and scholar N. F. S. Grundtvig. Construction began after World War I, and while the first inauguration of Grundtvig’s Church in Copenhagen was in 1927, final construction was not completed until 1940 and interior renovations until the 1960s. On a recent trip to the West Coast, with a connecting flight in Lambert–St. Louis International Airport (designed by World Trade Center architect Minoru Yamasaki), I couldn’t get that old song “Meet Me in St. Louis, Louis” out of my head. Written in 1904 to commemorate the Louisiana Purchase Exposition, also known as the St. Louis World’s Fair, the tune was later made famous in a 1944 Judy Garland film of the same name. Richard Meier, Pritzker Architecture Prize winner and master of light and space, has created a treasure for those who care about drawing, painting, sculpture, collage, and, of course, architecture. The Richard Meier Model Museum, which opened earlier this year at Mana Contemporary in Jersey City, New Jersey, is home to hundreds of models and drawings of some of Meier’s most famous structures, as well as numerous other objects of art and design. Standing in front of London’s Royal Hospital Chelsea, it is impossible not to marvel at how clearly and beautifully architecture can convey complex social and moral issues. Commissioned in 1681 by Charles II, and designed by Sir Christopher Wren, the hospital addressed a pressing national issue: Where should England’s neediest veterans, those “broken by age or war,” live when they couldn’t fight anymore? Designed by the late Danish architect Arne Jacobsen, the school officially opened in 1962 and was one of the first at Oxford to admit women (in 1974). St. Catherine’s distinguishes itself from other Oxford colleges with its open-plan quads, consistent use of modernist architectural vernacular, integrated landscape plan, and unique interiors. Rio de Janeiro becomes the epicenter of the celebrations going on throughout the country. Soon it will play host to events for the entire world: this year's World Cup and the 2016 Summer Olympics. But Rio is so much more than a one-note samba for celebration—the city and its environs are chock-full of great buildings, parks, promenades, restaurants, museums, and beaches, all imbued with a sense of joy and sensuality. Having visited the The Museum of Contemporary Art Kiasma in both winter and summer, I was hoping that my most recent midwinter trip would enable me to see the sun shining while it snowed, and that I could truly appreciate the magical way the building transitions in appearance from daytime through dusk and evening. Designed by the master architect Gyo Obata, the St. Louis Priory Chapel, in Creve Coeur, Missouri, is one of America's greatest hidden treasures. Its distinctive flower-shaped reinforced-concrete shell was devised by the famed engineering firm Weidlinger Associates and comprises three symmetrical tiers of whitewashed concrete arches filled with a translucent fiberglass material known as Kalwall. Though it was completed in 1962, the building and its furnishings and appointments continue to thrive. Paris, everyone knows, is home to some of the world’s finest museums—the Louvre, the Palais de Tokyo, the Musée Picasso Paris, and the Centre Georges Pompidou being just a few. But perhaps the City of Light’s most intimate and haunting collection resides at the Musée Nissim de Camondo. 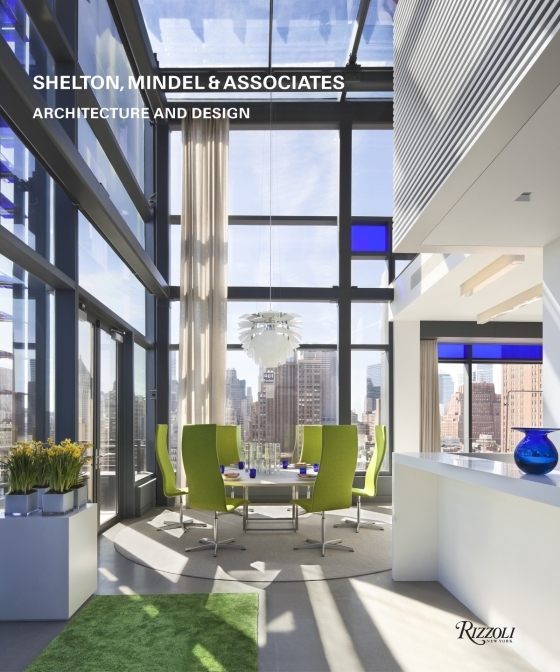 Happy New Year from Lee F. Mindel! Lee F. Mindel revisits the Danish embassy in Washington, D.C. In the old City of London, now the financial district, the arcades are of a distinctly different character. You won’t find any luxury boutiques at Smithfield Market, a meat and poultry market created by an act of Parliament in 1866. Founded in the 14th century, it’s one of the country’s oldest markets, ironically framing the view of the Sir Richard Rogers–designed Lloyd’s of London building, one of the city’s great modern treasures. I travel a great deal, and two cities that have become like second (and third) homes are London and Paris. I love them both, at all times of the year, and I especially love their Ferris wheels. The London Eye and La Grande Roue de Paris were actually intended to be temporary structures, but they have both become permanent and magical fixtures in their respective cities. The Pollock-Krasner homestead comprises a small, modest house, built in 1879, and a barn studio, set on one and a half acres overlooking Accabonac Creek. Around this time Pollock struggled with recurring bouts of depression and alcoholism, but at the house he had a two-year period of sobriety, during which he created some of his most memorable masterpieces. As the art and design elite flock to Miami this week, Lee F. Mindel revisits two landmarks that helped create the city’s resort style. Italian architect Renzo Piano has made what is perhaps the most remarkable piano nobile yet at his masterpiece in London, the Shard. But instead of being on the ground floor, it’s at the very top of the tallest building in the European Union. Frank Lloyd Wright traveled to Chicago in search of employment in 1887, a time when the midwestern capital had emerged from the devastating fire of 1871 as a once-again bustling metropolis. Wright would go on to become the impossibly prolific leader of the Prairie School: He completed more than 1,100 designs, nearly half of which were built, and a number of his masterworks were set in and around the Windy City. The Serpentine Gallery in London’s Kensington Gardens annually commissions a temporary structure on its lawn to showcase the work of an internationally acclaimed architect. The first pavilion, in 2000, was designed by Zaha Hadid—somewhat ironic given that Hadid’s latest design happens to sit just across the Serpentine River. Designed by the prominent Philadelphia architect Frank Furness, the University of Pennsylvania's library—today called the Anne and Jerome Fisher Fine Arts Library—is considered one of the great 19th-century American buildings. The Aspen Institute, founded in 1950, was the brainchild of Chicago natives Elizabeth and Walter Paepcke as an ideal gathering place in the picturesque Colorado landscape for thinkers, leaders, artists, and musicians to converge. Soon after my most recent post, I found myself back in Aspen, mesmerized all over again by the transformative power of autumn’s colors. On this visit, a mental connection occurred when I was reminded of the landscape paintings of the late Neil Welliver, a disciple of Josef Albers and one of my professors at the University of Pennsylvania. It’s not an exaggeration to say that Welliver taught his students how to see—both in color and in black and white. Renzo Piano’s 1997 Fondation Beyeler museum in Basel, Switzerland, and Oscar Niemeyer’s 1970 Itamaraty Palace, which houses Brazil’s Ministry of External Relations in the capital city of Brasília, share similar architectural foundations. And by that I mean the methods by which the two structures, literally, hit the ground. As a new school year begins, I can't help but think of Copenhagen’s School by the Sound (Skolen ved Sundet), designed by the great Danish architect Kaj Gottlob. Built in the late 1930s, the progressive elementary school stands and operates today as it did then. The hedge, that most common staple of landscape design, has been around for almost 4,000 years, when it was first used for the same reasons it is still used today—to divide properties, provide protection from the wind, and create privacy. The London Bridge we all know from the nursery rhyme was originally a timber structure built, and subsequently rebuilt many times, by the city’s Roman founders as the sole crossing over the River Thames. It was replaced in medieval times and again in the 19th century as methods of construction changed. In 1945, Dr. Edith Farnsworth, a Chicago nephrologist, commissioned the German-American architect to build a 1,400-square-foot, one-room retreat on a 60-acre plot in Plano, Illinois. Completed in 1951, the home was eventually designated a National Historic Landmark and is currently operated as a house museum open to the public. With all the well-deserved attention Le Corbusier’s work has recently received, I was compelled to revisit the master’s masterpiece, Notre Dame du Haut, a few weeks ago. Commonly referred to as Ronchamp for the French town it resides in, this remarkable chapel, built in 1954, continues to inform my own work and is well worth a pilgrimage. On the eve of MoMA’s most expansive exhibit ever on the legendary architect, Lee F. Mindel visits one of the his lesser-known masterpieces—his family residence in Switzerland. As a young architecture student immersed in my studies at the Harvard Graduate School of Design, I was perhaps unable to fully grasp the importance of my education. Or my surroundings. Last week, fellow architect and Harvard alum Reed Morrison and I revisited the campuses of Harvard—the hallowed halls, haunts, common areas, and new structures reminding us why we had matriculated there in the first place. Organized around a wide central avenue called the Monumental Axis and a massive vehicular loop, the plans included apartment blocks, recreational facilities, a business district, schools, hospitals, and places of worship, all culminating in Niemeyer’s iconic National Congress building. Looking at the audacious designs today is a fascinating rewind into the future. It’s a day trip not to be missed the next time you’re in São Paulo or Rio. Born in Naples in 1928, Rizzo was a photographer, furniture designer, raconteur, and icon. Through his camera lens he documented the last half of the 20th century in a way no one else could. Rizzo’s magical ability to tell a story with an image resulted in commissions to photograph towering political figures, including Churchill, and to document seminal historical moments such as the Nuremberg trials. As the announcement of a new pope emerged from the Vatican, I was reminded of a recent trek through St. Peter’s in search of the Sistine Chapel. Access to Michelangelo’s masterful ceiling frescoes is through the Vatican’s double-helix staircase, which was completed in 1932 by Italian architect Giuseppe Momo. The ramp’s apogee is a radiant, organic-shaped glass oculus—nearly identical, it occurred to me, to that of Frank Lloyd Wright’s Guggenheim Museum in New York.